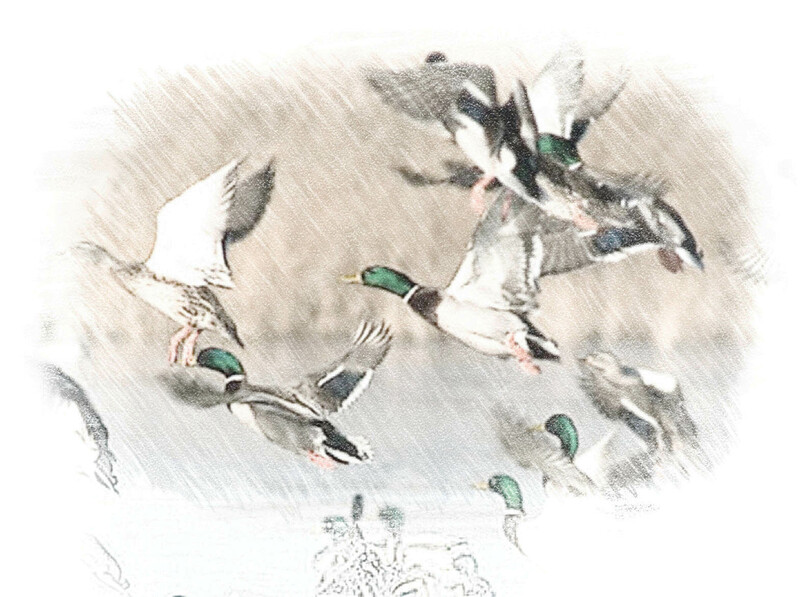 With plenty of ponds and hundreds of acres of marshlands, there are numerous possibilities for waterfowl shoots. Generally shoots take place in the marshlands and surrounding the ponds, early morning or late afternoon is the best time for bagging waterfowl. We have a number of different species living on our estate including Mallard, Teal, Wigeon, Pintail, Gadwall, Shoveler, Pochard and Tufted, among others. If you are unfamiliar with the common species we have in the UK, you can find descriptions below. Unlike a lot of us fickle humans, many species of waterfowl mate for life; so very commonly you will see pairs in flight. Practice makes perfect and with time you will develop the perfect pivot to be able to bag the pair. Wildfowl makes for delicious meat, don’t let the birds go to waste. You can easily find some scrumptious recipes online and, on occasions and for an additional charge, we can arrange for birds to be feather and cleaned (please enquire upon booking if this service will be available for your shoot). You are more than welcome to bring your own dog, provided they are suitably trained and you are responsible for your dog’s behaviour. Upon leaving the marsh land your dog will most probably be drenched, always tend to their needs first. All guns must carry public liability insurance as standard (If you have insurance included in a fieldsports organisation membership you must ensure your membership is current and valid). Non Toxic cartridges must be used for all waterfowl game. Tips not included in quoted prices. Transportation around the estate and dogs.